Manaslu Region is located at the west-central part of Nepal. Manaslu region is less popular trekking destination which is slowly getting attention of the trekkers from across the world. 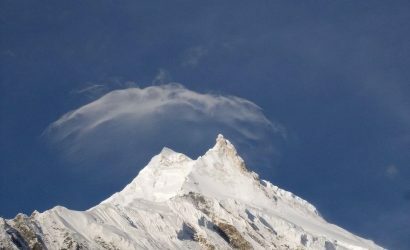 This region is named by the name of Mt.Manaslu which is one of the eight thousander mountain with an altitude of 8156m. The Manaslu Region was declared as Manaslu Conservation Area by Nepal Government in order to protect natural heritages, wildlife, natural resources and promote eco-tourism and to uplift the livelihood of the people prior to the region. Manaslu region offers a wide range of trekking options to the trekkers. 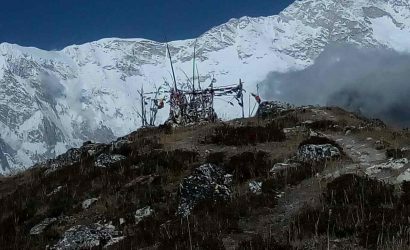 The highest trekking point of this region is Larkya La pass with an altitude of 5235 m. You will walk to the ancient salt-trading route trekking to Manaslu region. This region offers magnificent views of Mt. Manaslu, Ganesh Himal, Himcluli and many other mountain ranges. 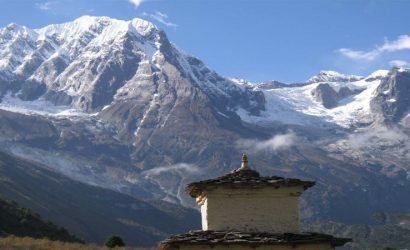 Manaslu region trek will give you a traditional twist with the authentic Nepali Culture and hospitality of local people. High Pass Adventures are popular among the trekkers and mountaineers. Nepal is a home to adventures. The high passes here ranges higher than the highest Mountain in Europe. The unique and adventurous trekking trials of Nepal take you close to the mountains. High Pass Adventure treks take you to the passes above 4000 to 5000 meters. The High Pass Adventure is suitable for adventure seeker trekkers and those who want to try new challenges ever now and then. Many of the trekking trials with high pass adventure takes you to the base camp of the tallest mountains. High pass adventure trek takes you to the high altitude mountain region. Not only this trek offers challenges and adventure but also you can explore the cultures and lifestyles of people along the trials. You get to know the real worth of living when you will see the happy faces of the people in spite of living a hard life. High Pass Adventure treks are not easier. For this one needs to be physically fit and must be able to walk for 7 to 8 hours a day in an unfamiliar trial. A prior trekking experience can be a plus point. Also, trekkers must have proper knowledge of using trekking gears. High Pass Adventures are the most privileged adventures which rewards you with a glorious lifetime achievements. Hiking is a long day walk usually on country side trials. While trekking is walk on an arduous terrain hiking is walking on a relatively easier terrain. Besides, trekking and hiking are similar as both include a walk for several hours a day. In this modern era, where people are being completely dependent on means of modernization, hiking gives a chance to explore the real life. Furthermore, hiking is a beautiful walk which focuses on the journey rather than the destination. People often get to collect the beautiful experiences along the way. On the other hand, it is a great option to escape from busy life and the chaos of the cities. Hiking takes you to the country side villages. The accommodations are easily available and also you don’t need any prior planning. Hiking can be done with comfortable walking shoes and clothes; unlike trekking it doesn’t require extra gears. 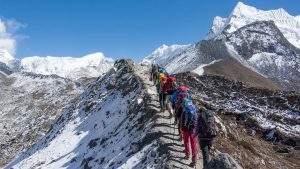 Hiking is a popular activity in Nepal and it is normally done at an altitude below or up to 4000m. Thus, there is rear chance of altitude sickness and anyone can do it with average physical fitness. A long day walk also gives you a chance to encounter the local villages, cultures and lifestyles. Furthermore, it also has several benefits such as lowers blood pressure, reduces the risk of heart diseases, lowers body fat, and improves mental health and many more. Nepal is one of the best destination for hiking and offers numbers of trails. ‘Solo Trekking’, the name itself describes the type of trek. Solo trekking is alone on foot journey to a difficult terrain which contains long walk for several hours a day. This type of trek is the best way to encounter the culture; people and nature by own self. On the other hand, solo trekking also helps to build up self confidence and ability to research and explore. Travelling alone in Nepal is considered safer than many other countries in the world. Nepal, being a country with difficult topography and home to several mountains offers numbers of trekking trials. The numbers of solo trekkers are increasing year by year in Nepal. A guide or porter guide is highly recommended for solo trekkers for their safety and comfort. However, it is not compulsory if you want to trek alone. Whenever it comes to solo trekking, a question comes suddenly out of anyone’s mind. Is a solo female traveler safe in Nepal? Well in fact, we can see numbers of solo female travelers in the streets of Kathmandu. Tourism related crimes are very rare in Nepal and tourists are always respected. Female travelers are safe in Nepal but it is always better to hire a guide if you are thinking of going on a trek. Trekking is on foot journey especially to an unfamiliar terrain that goes longer than one day. One can extend it for several weeks or even a month depending upon the destination. Trekking is regarded as one of the tough and adventurous activity in the world. This activity takes you close to the nature. Further more, trekking helps in reducing the stress and improving mental health. Trekking in Nepal is popular among the tourist. Being a home to several mountains including the tallest Mt. Everest, Nepal offers a wide variety of trekking trials. It is a most privileged activity among the tourists in Nepal. It is because trekking is an opportunity to explore the rich diverse culture, traditions and nature of Nepal rather than just a long day hike. The trekking trials in Nepal ranges from easy, moderate to difficult and strenuous. The Everest, Annapurna, Manaslu , Upper Mustang and Langtang are the most popular trekking regions of Nepal. These regions have numbers of trekking destinations which is very popular among the tourist . Nepal receives excessive number of tourists each year only for trekking. Trekking in Nepal can be done in several ways such as camping trekking, tea house trekking, solo trekking and many more. Trekking is an adventurous journey. In Nepal , you don’t need any previous experience for trekking but one must be able to walk at least 5-6 hours a day. Person with average physical fitness can easily complete the trek. Also for those who cannot walk for several days there are short and easy trekking packages as well.